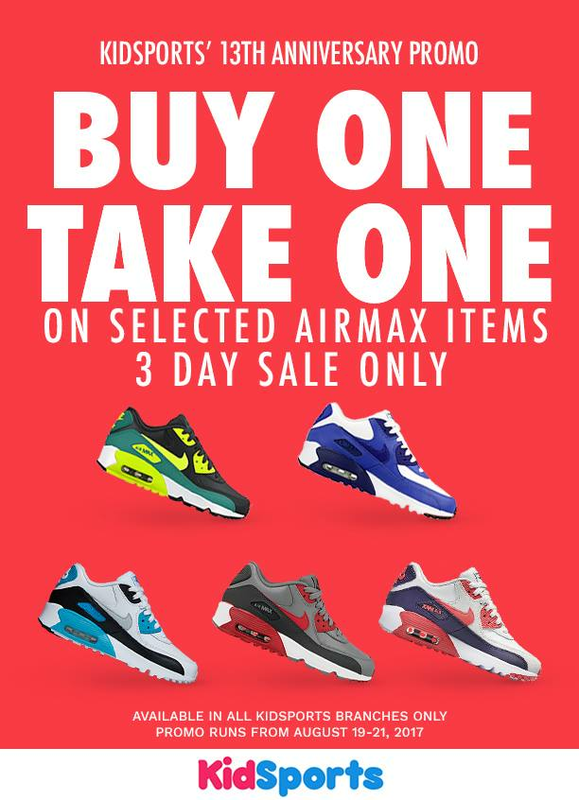 Kidsports is celebrating its 13th Anniversary with AIR MAX BUY ONE TAKE ONE PROMO happening on August 19-21, 2017. 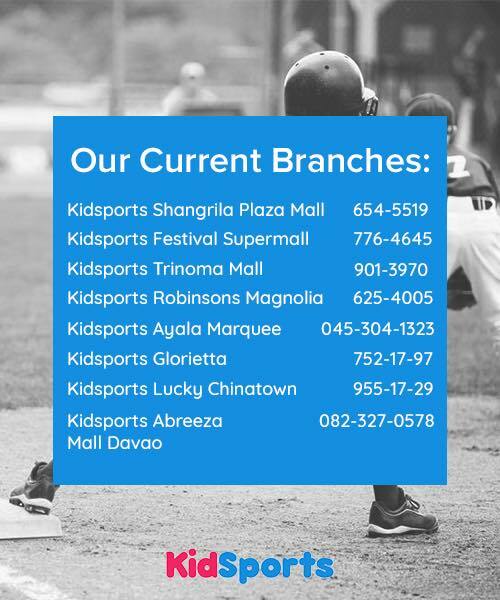 This promo is available in all Kidsports branches nationwide! A customer is allowed to buy only 2 pairs of select Nike Air Max items. Customer can choose any style and any size for both pairs from the assigned promo styles. All purchases made for this Buy 1 Take 1 Promo are FINAL. Any returns and exchanges due to size and or style are not allowed. Reservations are also not allowed.